Hull City vs Brentford predictions ahead of this Championship clash on Saturday. Read on for our match preview and free betting tips. Incredibly, there’s now just a point between Hull and Brentford in the Championship table. 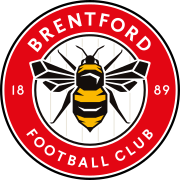 The Tigers started the season among the favourites for relegation, while Brentford kicked off the campaign with some promotion form. While Hull lived up to their expectations, the Bees saw their campaign falter a couple of months ago. They’ve been on a downward spiral of late, falling away from any kind of play-off push, ending up in the relegation mix. They’re only four points above the drop zone, making this weekend’s game huge. Hull have managed to climb away from the bottom three in recent weeks, with some improved form. They’re now three points clear of the bottom three, with Nigel Adkins finally making a difference at the KCOM. He’s inspired the club to get out of the drop zone, and he may even keep them up this term. That would be an impressive achievement for a side which was stitched together in the summer, and who are now looking more and more like a real unit. Can they continue to progress when they meet the Bees this weekend? Brentford have looked far too open in recent weeks, and they are in an alarming spiral. Their form of late has left them down in 18th, having once been favourites to win the league. The Griffin Park side started off with a thumping win over Rotherham, outclassing the Millers and showing the gulf between them. 20 games later, there’s a point between the two sides. That kind of slump has to make a dent in a side, and it is tough to see where and when the visitors are going to start turning things around. A few months ago, this would have been seen as a clear away win. However, Brentford have failed to meet expectations on the road all season, leaving them in danger of the drop. After 10 matches, they’re yet to win an away game – losing five times. It’s the fifth-worst away record in the division, and that’s going up against a Hull side who have claimed recent wins over QPR and West Brom, along with picking up a draw at Millwall in their last clash. To make matters worse for the visitors, this isn’t the ideal fixture for them at any time. Brentford have lost five of their last seven league games against Hull (W1 D1). With Hull starting to pick up, they should be pushing for a result here. With the visitors winning once in their last 14 matches at this level, we think there’s value to be found in backing Hull on the Draw No Bet market. 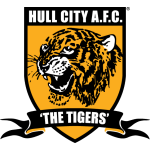 Hull have failed to score in both of their last two home league games; they last failed to find the net in three successive games at home in December 2014. Since winning successive Championship matches in September, Brentford have only won one of their last 14 (D5 L8). Brentford have lost 17 points from winning positions in the Championship this season – more than any other side.